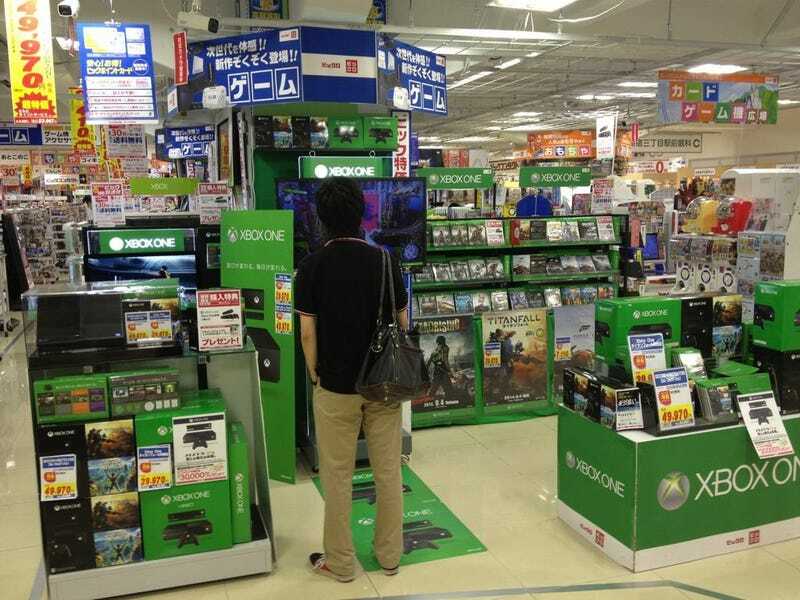 People did buy the Xbox One in Japan. Not very many people, mind you. For a new console's first week on sale, these numbers are, well, not good. According to Famitsu, the Xbox One sold 23,562 units in Japan in its first week on sale, which dates from September 4 to September 7. In comparison, the Xbox 360 sold over 60,000 units in its first two days on sale in Japan when it originally launched back in 2005. Famitsu also has a breakdown for the biggest selling games. Number one was Titanfall at 22,416 copies—however, be aware that these numbers include copies of the game that were included in the Xbox One Titanfall bundles. The next biggest selling title was Kinect Sports Rivals at 14,191 copies. But again, realize that this number includes copies of the game that were included with a special Xbox One bundle. And finally, the third biggest selling Xbox One game was Dead Rising 3 at 7,330 copies. To put these console numbers in better context, the PS4 sold over 300,000 units in its first week on sale. Ditto for the Wii U. Note that these numbers were considered somewhat "low." Even though these figures are terrible, after seeing how the console's launch looked in Japan, it's kind of surprising that Microsoft even eked out 20,000 sold units. The top photo was taken by Twitter user Vince_Tokyo.